This year, DU will release six cut-off lists. The last cut-off list will be announced on July 18, while the session will begin on July 20. The admission process is expected to close by August 16. The registration for Delhi University admission 2017 in various undergraduate courses to begin on Monday from 5 pm. This year DU online portal will open resigstration for admissions to merit-based courses in Delhi University colleges. The process will enable undergraduate applicants to seek admission to 60 undergraduate programmes in 63 colleges of the university. There are around 56,000 seats up for grabs that usually receive nearly 2,50,000 applications. The application window will close on June 12, with the first cut-off list to be announced on June 20. Online process: The university said that merit-based admission will be offered on the basis of Class XII Board examination marks, with all applicants required to register on the DU portal. Students applying under Extra Curricular Activity (ECA) quota, Sports quota, Persons with Disabilities (PWD) quota, Kashmiri Migrant (KM) quota, Armed Forces (AF) quota and SC/ST/OBC quota will also have to apply online. 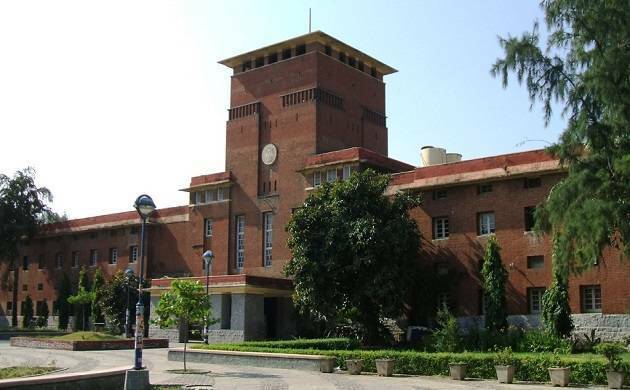 Cut offs: DU officials, however, said that they cannot comment on the percentage falling due to CBSE doing away with moderation as DU is a central university and receives applications from students who have cleared their examinations from various other boards. The CBSE had written to DU to give appropriate weightage to its students for this admission season, but the university said it cannot differentiate between students from different boards. Officials refused to comment it they had replied to CBSE’s letter. The university said that all female students who are residents of the National Capital Territory will automatically register themselves for DU’s Non Collegiate Women’s Education Board (NCWEB) when they fill out the admission form and opt for either BA (Programme) or B.Com (Pass) or both. They will not have to pay any separate fee.